No eye drops, no sunglasses, no lenses, and his double vision is gone! I am Muna Als Suwaidi from UAE. My brother underwent a cornea transplant at LVPEI. My parents and I too have undergone treatment here for eye problems. I am now accompanying my cousin who has debilitating double vision. He struggles to see normally and the double vision goes away only if he holds his head in a particular position, which makes it very awkward and embarrassing for him when dealing with people or attending meetings – he is in the training sector in the police department. He has been to USA and Korea for treatment and was told he would require two separate surgeries. My family recommended LVPEI as we have been successfully treated here and just a single surgery here has got him the required results. No eye drops, no sunglasses, no lenses, and his double vision is gone more than 95 percent! He is so very happy he could cry. Firstly, he thanks God for the enormous relief he feels. He is also is very grateful to the treating surgeon Dr Ramesh Kekunnaya and his team. We have offered a donation to the hospital so that others who cannot afford to pay for their treatment will receive it at our expense. 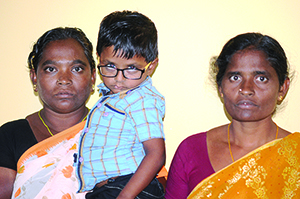 Five-year old Balagani Naga Ganesh Deepak of Vadlamudi village had bluish eyes at birth that was diagnosed as Congenital Hereditary Endothelial Dystrophy (defective endothelial cells of the cornea) along with congenital glaucoma (high eye pressure) by Dr Pradeep Kumar at LVPEI Vijayawada. The bluish tinge remained unresolved even after glaucoma surgery so he was referred to the Hyderabad campus where Dr Jagadesh Reddy performed corneal transplantation, replacing the cloudy cornea with transparent donor corneas, first in the right eye and then the left eye. Later, Dr Preeti Chhablani operated on both his eyes to remove cataract. The multiple surgeries have instilled a sense of responsibility in the young boy and his family. Both his grandmothers are proud of the boy's keenness to complete his school work before play every evening. The family for their part has been very vigilant about the congenital and hereditary eye disease. Naga Ganesh's younger brother was spared but his little cousin hasn't been so lucky and the grandmother brings him to LVPEI for periodic examination and treatment. 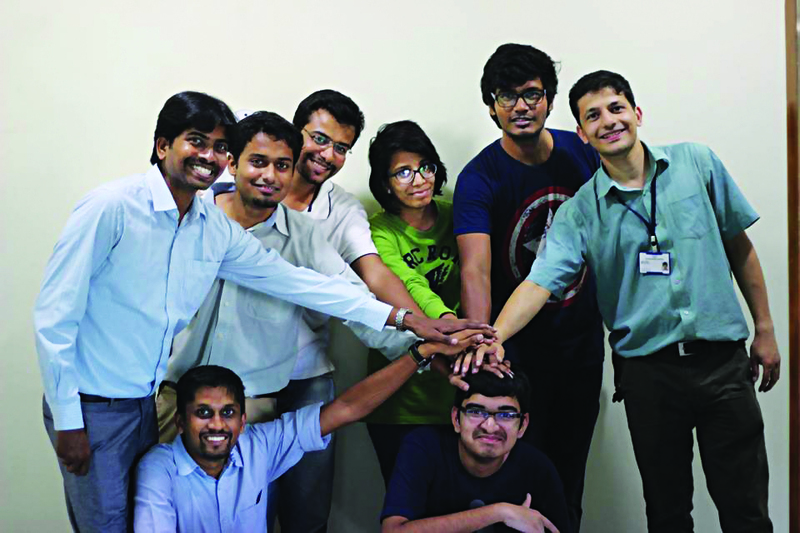 The very thought of a Grade XII student doing an internship at LVPEI is awesome. I had the privilege, from 19th to 27th November, of interacting with LVPEI's doctors and engineers. A guided tour of their rehabilitation centre had me see almost all the ways in which people with reduced vision or blindness can continue to live a normal life with the help of tools ranging from putting rubber bands on containers to identify them, to state-of-the-art text-to-speech softwares and even a 3D vision correcting tool. I observed Dr Nandhini and Dr Matthew work on an application to analyze the neuropsychology underpinning of perceptual experience, and Dr Somasheila Murthy in OPD had me realize that ophthalmology and optometry are subjects of vast study. Dr Virender Sangwan interacted with me on eye imaging techniques and I was guided on this by Mr Kiran Challa. At the microbiology lab, Dr Savitri Sharma showed me the extraction of a sample of cornea, culturing and observing it under a microscope, and Dr Shivaji, who has been to both the Arctic and Antarctic, shared some of his experiences in Biology - it was an educative experience indeed. My visit to Srujana, the Innovation Centre, led me to meet Dhruv Joshi and other Engineers who are working with world class eye specialists to ease the workflow of detecting and diagnosing eye problems. It is an awesome application of MITs Rethinking Engineering Design eXecution principle. 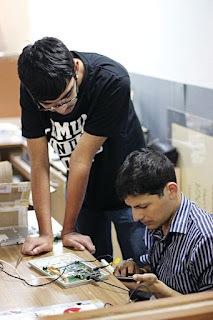 I got to see them demo all their prototypes, and this has given me an insight into a lot of things, led me to work on a few tasks and made me realize that being an engineer is no hurdle to improve the lives of others.